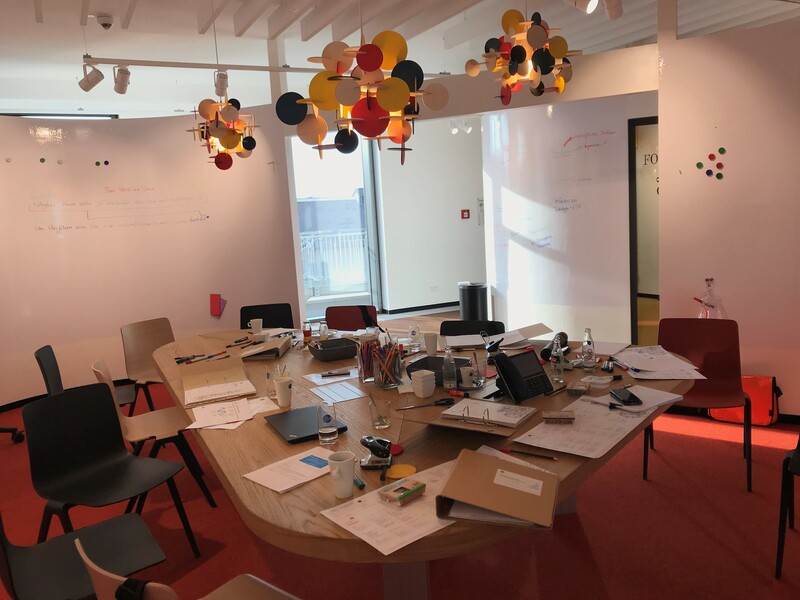 Earlier this month I had the pleasure and opportunity to meet, greet, and briefly train a group of young German innovation managers. As I did, I realized that there are many ways in which the innovation cookie crumbles. In other words, innovation can mean very different things to different people. Most importantly, though, I realized that the discourse around innovation is often too technical and therefore void of real meaning. To fix this, and to give you a flavor of what (some) young innovation managers are pondering about, I’ve curated several of my exchanges with them. Below, you will see what they asked me and what I let them know, peppered with some things I should have let them know. In retrospect, each topic could have been the core of a separate session. If only there was time. Q: We’re not familiar with term open innovation. But we can relate to the modes you just showed us. How can that be? A: Open innovation is a relatively new term designed to reflect companies’ need to change the way they manage knowledge exchanges. And now let’s pick it apart. Process. Purposively managed. Mechanisms. Across. This definition can be as simple as "a purposively managed process for sharing knowledge and ideas with other organizations." Open innovation is different from “ordinary” innovation mainly in that it is collaborative and has direction: outside-in, inside-out, even coupled. It is also the same as innovation in that it's strategic, requires specific capabilities and resources, and reflects the long-term view. So, in effect, the term itself bears little importance. It's the principles and philosophy that count. And you are already familiar with that philosophy. Whether you are active in creating university partnerships, doing technology scouting, or attending conferences/webinars (outside-in open innovation), you’re well on your way to progress and sustainability. The same is true if, on the contrary, you've grown to specialize in accelerating startups, donating IP/technology, or setting up a corporate venturing fund (inside-out open innovation). 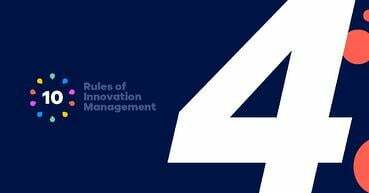 Open innovation is a type of innovation process that transcends the firm’s boundaries. That's essentially all you need to know. Q: Is open innovation a top-down or a bottom up-process? Who orchestrates it? A: (These “kids” are onto something!) This depends on two main things: an organization’s culture and the span of the innovation project. In a very siloed organization, the CEO and his team will typically oversee open innovation efforts; the same holds for a large strategic project where again the CEO’s endorsement can offer some leverage and move things forward. 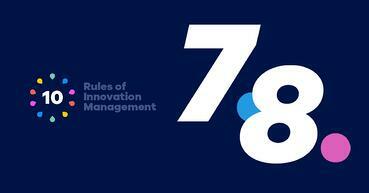 The maturity of the organization is a powerful predictor of how open innovation is driven. The more mature an organization, the more likely it is that middle and lower management have a mandate to implement new processes and to absorb and share knowledge and resources. And yes, you can actually measure this using maturity scales. Q: In our organizations, many ideas simply end up on shelves. How do you design programs that change that? Where do you start? A: A great way to start is to survey your culture and eventually ask for help. I mention culture because having a culture of innovation in place is an absolute prerequisite for successful (open) innovation. If your organization readily accepts new ideas, can quickly change procedures to meet new circumstances and allocates time and space to its employees to develop ideas, you already have a great baseline (I’m getting kinda’ technical here, I know). Leaders’ emphasis on knowledge sharing, a company-wide conversation around innovation, and having a partner focus (the belief that value is best co-created with innovation partners) also comes as a great plus. Once you know where you are, you can start working towards a solution. 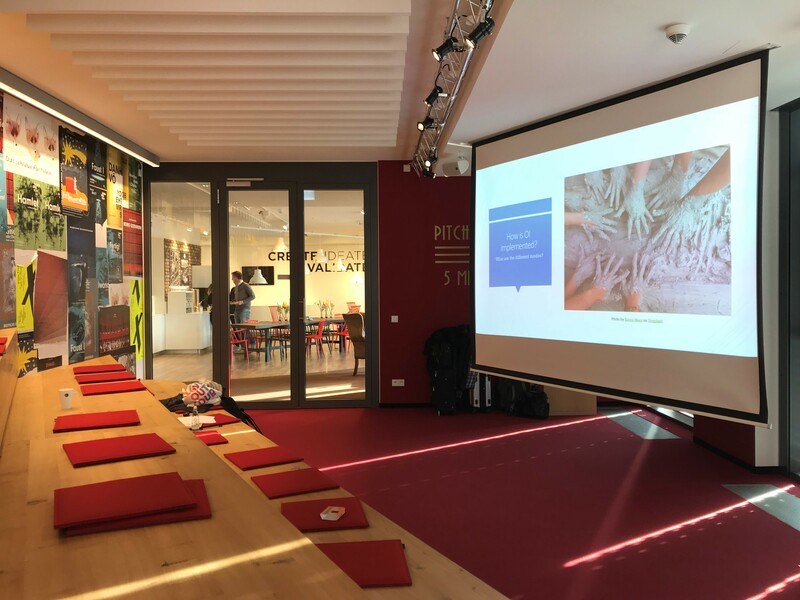 Today, there are a great variety of so-called accelerators or "innomediaries" (open innovation intermediaries) who specialize in helping organizations connect to the outside knowledge pool. Asking suppliers, complementors, or other entities familiar with your activity is also a useful alternative. Designing a good program starts with doing some serious homework on cultural aspects and potential tools and partners. Q: So how do you create a culture of innovation? A: (They might as well have asked me about the purpose of meaning…) I wish there were an easy answer. Creating a culture of innovation starts with instilling certain values, norms, and beliefs. An example of a norm could be employees acting as customer advocates. Later, it continues with an emphasis on development, empowerment, and mutual trust – both in the employees as well as in the outside partners. 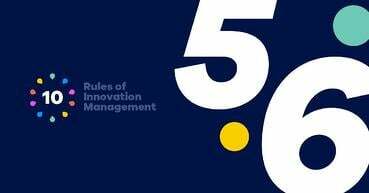 A culture of innovation also leaves room for failure (call it “maneuver”), condemns the not invented here syndrome, and is flexible in adapting to new external factors (such as policy change). It’s a complicated change process that goes to the core of an organization and what it stands for. What I mean is that culture change cannot possibly happen overnight. Q: Which sources of information should we trust? Industry, academia, policymakers? A: There are a lot of factious and/or fictitious opinion leaders. Start with authors/researchers you admire, and check curated series and blogs. Look for widely cited academic articles (although citations in themselves are not always a great indicator of quality) and opinion pieces on universities’ web pages. Look for depth in these writings and for the sources they mention. Q: Innovation training is something we’ve really looked forward to but feeding new lessons back into the organization is tough. How do we overcome resistance? A: Certifications like yours can strengthen your credibility as change-makers and even help create a real mandate for change. Furthermore, certifications offer an excellent basis for further engagement with specialized intermediaries like HYPE or NineSigma, tech transfer offices, or inventors. So the training in itself is great, but there is also the risk of your role being misunderstood (or ignored). To overcome resistance, try to think big, start small, and scale fast. And remember: the outcome of a successful search for innovation depends on the people who stand at the interface of the firm and the external environment. Innovation managers are at this exact interface. That is why their capabilities matter. If your CEO ever asks, try to get this message across. As we wrapped up for the day, I could not help but notice the changes on the “Pin your AHA! moments here” board. You see, there were more pins (and points) than when I’d come in. 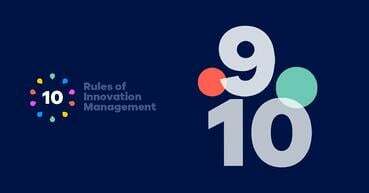 They included the fact that definitions in innovation management are conflicting (go figure…) and that innovation ecosystems (like the alliances, portfolios, and networks before them) are nothing but a means to an end; that end being value creation. As for my “AHA! moment?” You know things are changing for the better when managers (like the ones I’d just met) mention they've competed for a spot in the training. That no, innovation management training was not forced upon them. So from where I stand, I think this social, connected, ambitious, inquisitive and ready-to-challenge-the-status-quo generation of managers brings a lot of promise. They might not all be familiar with the term "open innovation," but they naturally apply it to everything they do. And that's really all that matters when you want to propel excellent products, services, and business models onto the market. The experience I just described would not have been possible without a few people. 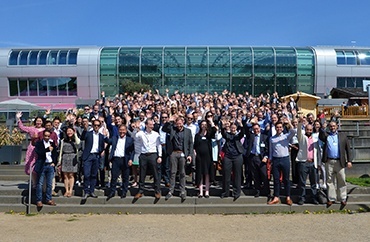 My thanks go to Ms. Dorothea Haas at DB Schenker as well as Ms. Regina Haas-Hamannt and Klaus Vogell at GS-1 Germany for the opportunity to interact with the young, vibrant professionals and reconsider some of the things I study and know about ecosystems and innovation.